I love coffee. I love tea. 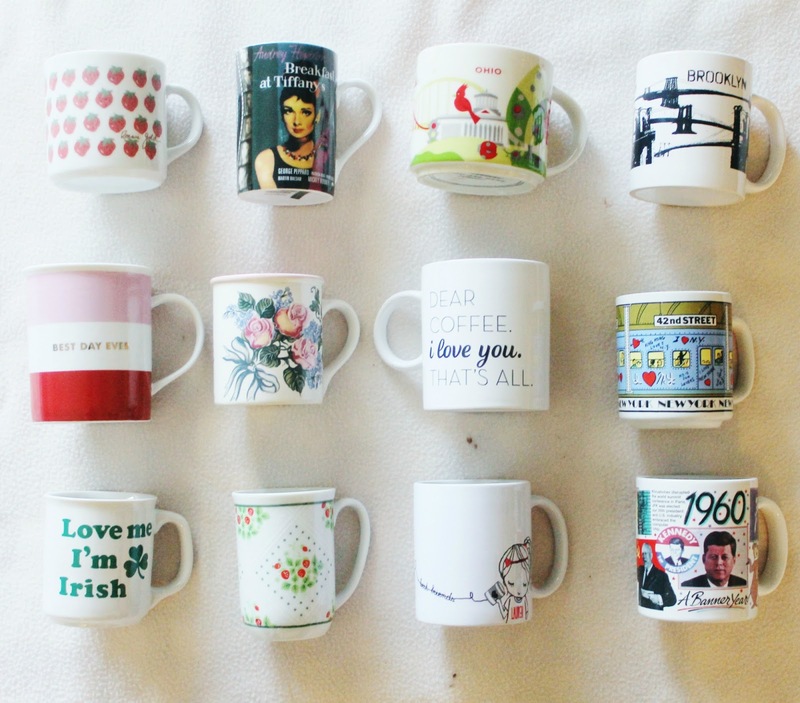 So it's really no surprise that I love mugs, as well! I drink about 1-2 cups a coffee a day and usually a cup of tea in the evening, so having lots of mugs to rotate through is essential! I've been collecting for a few years now and most of them I've found at the thrift shop. 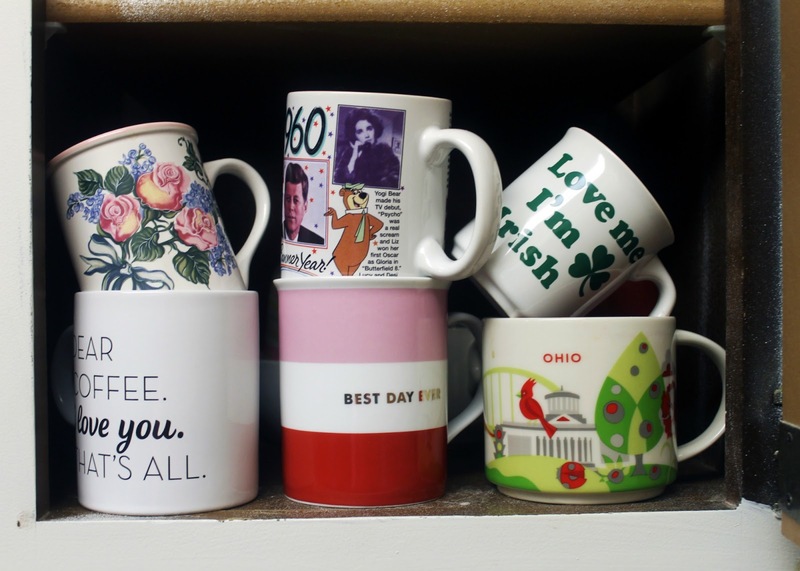 This isn't my entire mug collection (no one has time for that! ), but just some of my favorites that I frequently reach for. Like I said, a majority of my mugs are thrifted! If thrifting for clothes grosses you out, try going sometime just to look at the mugs. They can always be washed and you can find the quirkiest things! There's also nothing better than finding a mug that matches who you are perfectly. 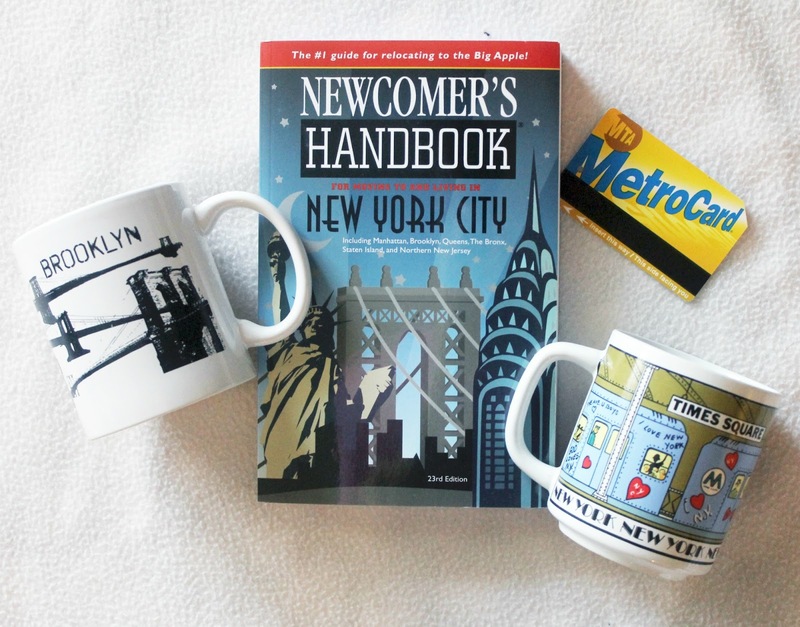 These NYC mugs are two of my absolute favorites. A daily reminder of where I want to be! One of my more comical mugs is this "love me, I'm Irish" one. 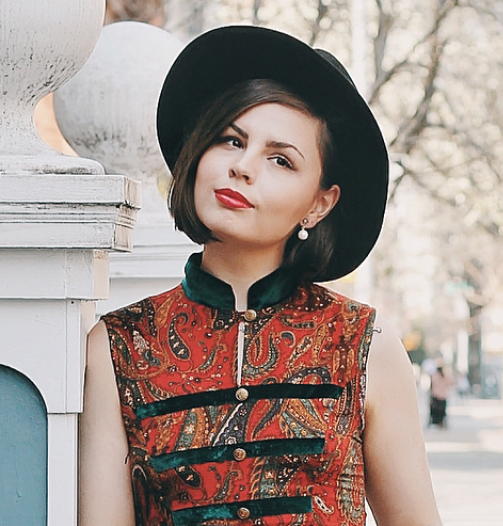 I'm not Irish in the slightest, but I have an obsession with the culture. It was my favorite place I visited in Europe, and I'm constantly picking up books at Goodwill to read about the history and culture. I may have casually dated a few Irish guys in NYC too so perhaps I can be considered an honorary Irish...This mug helps me think so at least! Being a lover of all things feminine, sometimes I cannot resist a good floral cup when I see one. I especially love to have my tea in these. Something just seems so lady like about it! I've had the pink floral one forever and the swiss dots & strawberry is a recent thrift find. It's the perfect size for a spot of milk with a warm cookie at night! Finally, perhaps my current favorite is this Starbucks mug! They have a "you are here" collection for every state, and getting my hands on an Ohio one has been a long time wish. My sweet aunt got me this for Valentine's day and I'm in love with it! Also, is any one else weird about mugs being the perfect size/having the handle the perfect length away (maybe I'm a weirdo). I just think both are perfect on this mug-- it has such a nice hold to it! Do you guys have any special/favorite mugs? I collect mugs, too! I have far too many to take photos of, but they're all so pretty. Yours are so cute! 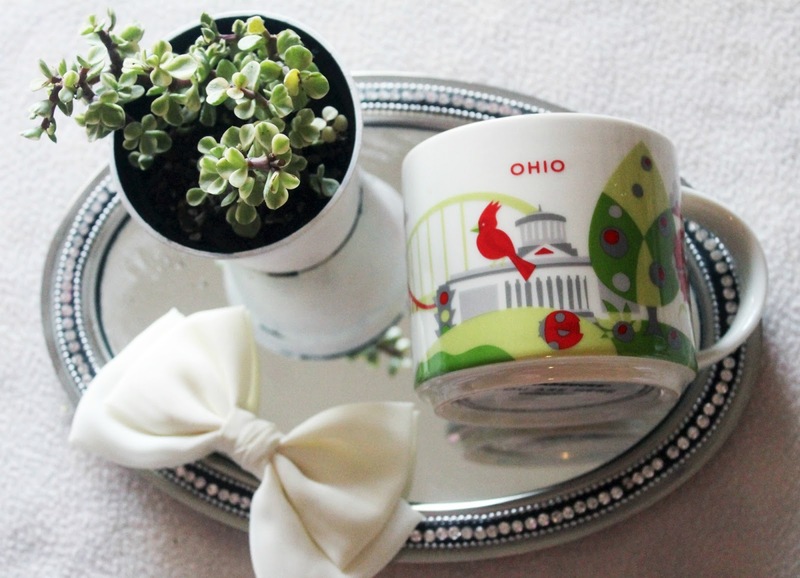 And, I love love love your wishlist mugs! Gorgeous. 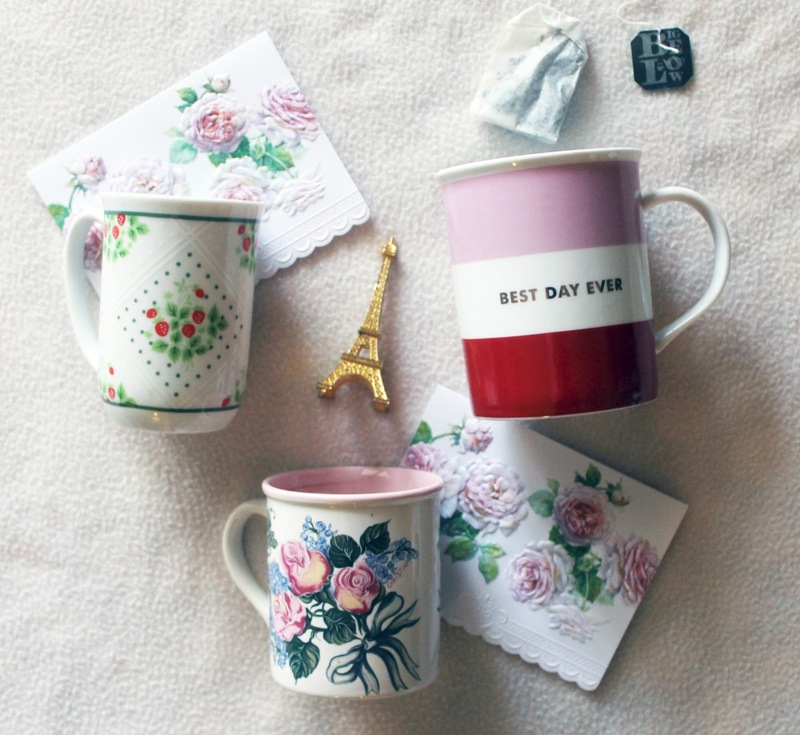 Ahh I love mugs too, I've got an ever-growing collection and it's so fun to find cool new ones! 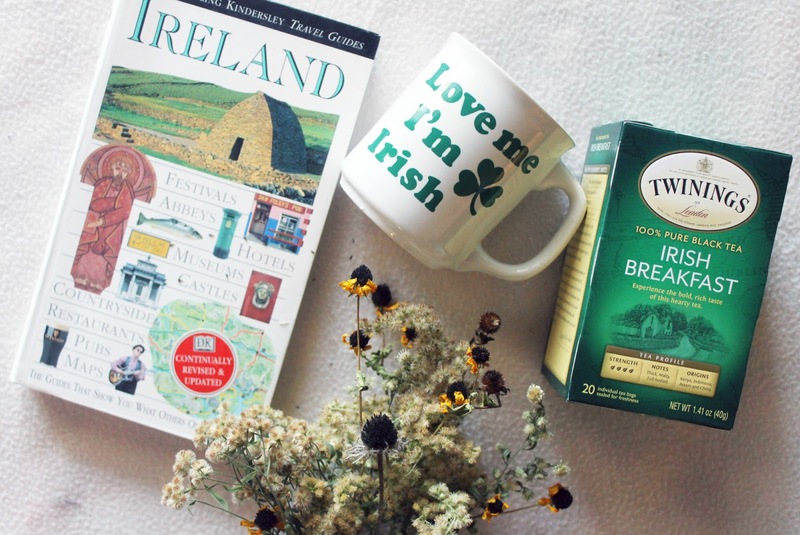 I actually am Irish through and through (at college in Dublin right now) and inherited the Irish tea obsession so I need a LOT of mugs to support my tea habit! Funny things to write on a coffee mug?